A small boy aged three visited Felicity with his mother, one of Felicity’s Mentors in the UK. 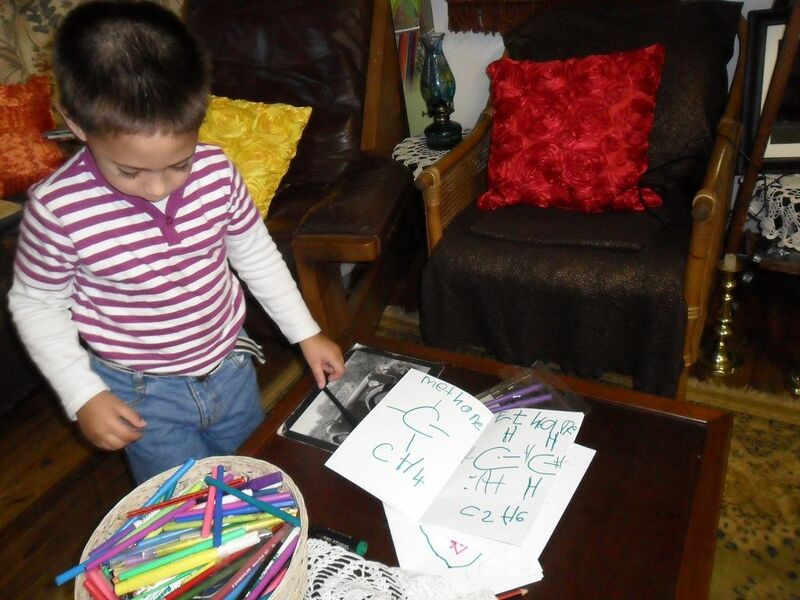 This small boy can read and write at the age of three- and he knows what he is reading about too. On top of that, he astounded Felicity by writing down chemical formulas for oxygen (at the same time, taking a deep breath) and then the one for carbon dioxide (exhaling with great energy). Here is Raphael with his chemistry handiwork!